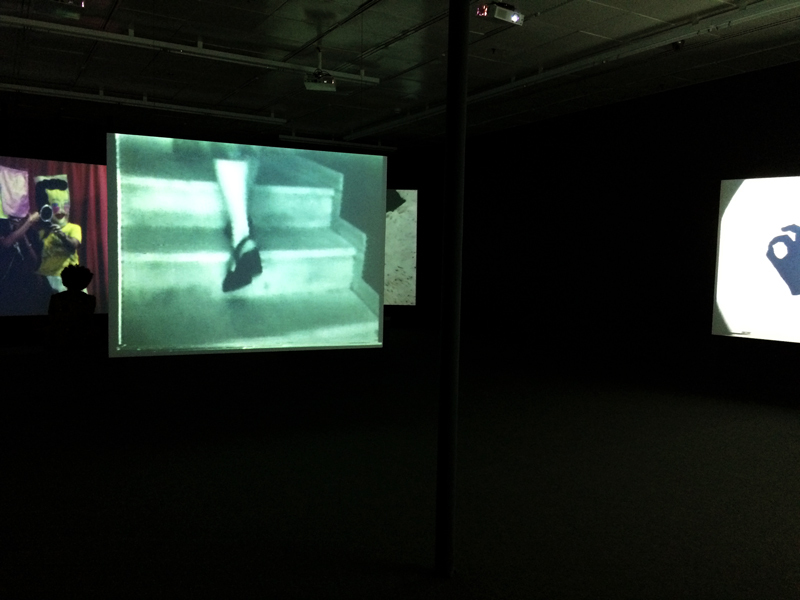 Video is a kind of decentralized language, infiltrating all artistic genres. 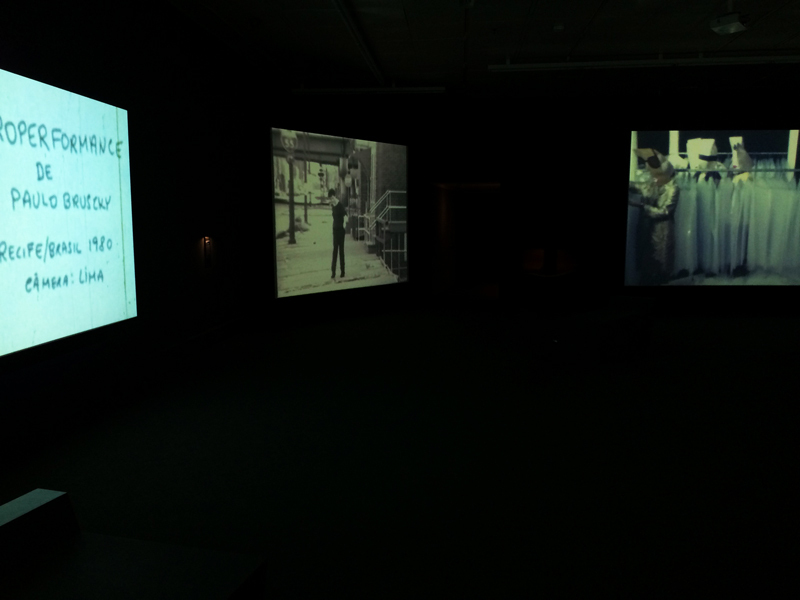 Video produces a connection between various languages; that is, at least, video that is pluralistic and open to the broadest experiences of art. In the context of contemporary art, the cinema started to be used by artists from the second half of the last century until now. In Brazil, specifically, these experiences actually start in the late sixties/early seventies, at a time when such ideas were still very embryonic and in an alternative context of production. In the traditional architecture of cinema, you have an illusionistic relationship to the projected image. You are immersed in the screen and the entire apparatus is geared to this. In a traditional theater, all of your senses are focused on the screen and you are removed from awareness of the space around you in order to make sense of your relationship with the screen. When you watch artists’ videos, this transcendent illusionism gives way to a sensory organization of another nature, one related to the image in a non-illusionistic way, in more of an immanence experience. The crease between screen space and the space around it is the interesting thing about artists’ videos. For the first time, Itaú Cultural is publicly displaying its collection of artists’ videos, coming home to the institute’s headquarters after a seven-city tour. 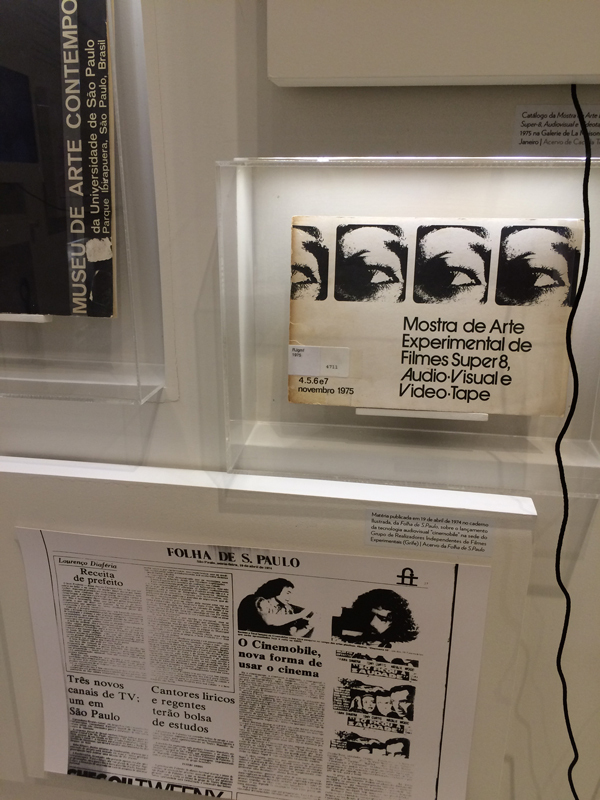 Twenty works form a panorama encompassing the pioneering production of the 1970s and more recent works in the intersection of visual and audiovisual arts in the Brazilian scene. Beginning with a timeline on the trajectory of experimental audiovisual in Brazil, with the open exhibition space and the works projected simultaneously, the show proposes a free circulation pattern for the viewer. It is the image, therefore, that captures the visitor’s contemplation. 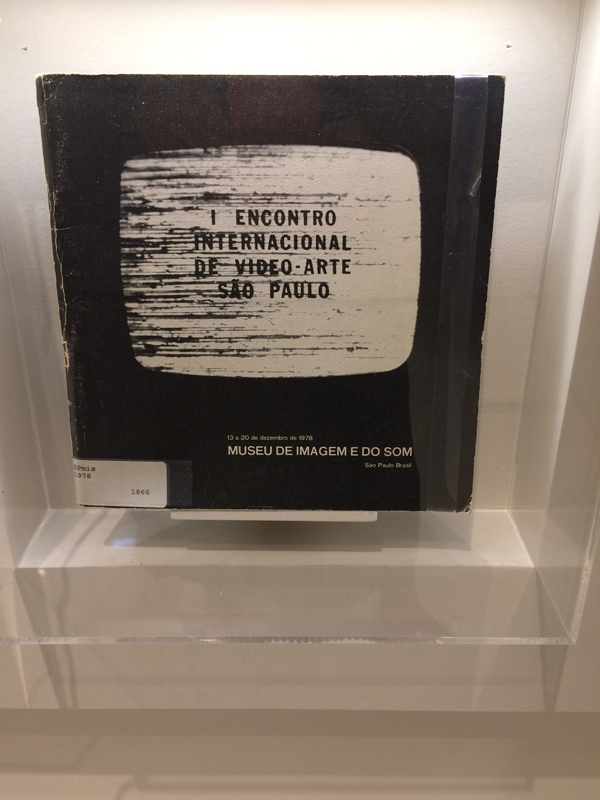 The exhibition shows the importance of the Brazilian production of artists’ movies and videos. These works are not expressly cinema; their duration can be indeterminate and the movie might not have a beginning, middle nor end—but in every one of them, indelibly, what prevails is the cinema as a whole.